Research papers are one of the most time-consuming parts of school. When I went back to school after 10 years as an entrepreneur, both my time and my patience for agonizing through writing research papers was limited. Since I’ve been back in school, I’ve developed a method / “hack,” inspired by the creativity and necessity of working efficiently I learned as an entrepreneur, to write a research paper as efficiently as possible. I’m not sure if this technique qualifies as a research paper writing hack, but it’s definitely saved me HOURS in the process of writing academic research papers. This method breaks down the research paper into simple steps that build off of the instructions that your instructor provides. Using the teacher’s own work, this method uses their instructions to springboard you into the writing process. You never have to face a blank page, instead, this quick and dirty paper writing hack builds step-by-step without the anxiety of sitting in front of a blank screen. I’ll show you, step-by-step, my hack for making the process of writing a research paper as quick and efficient as possible. Follow along to hack your way to a faster, better paper. Your thesis can be clunky, it can be terrible, it can be run-on. Just write something that feels like a roadmap. You can change your thesis later. X is a thing, this paper will describe the chosen thing, describe how it works, and address aspect A, B, C, and D.
Locating, organizing, and transcribing sources can be the hardest part of writing a research paper. My hack for speeding up this part of the research paper writing process is to use the voice to text feature on a smart phone. Instead of clunky transcribing, just keep your phone on while you skim potential resources, reading aloud when you reach a sentence you feel like you might be able to use. By using your phone you can quickly transcribe quotes in one step. Import your dictated quotes into the paper. 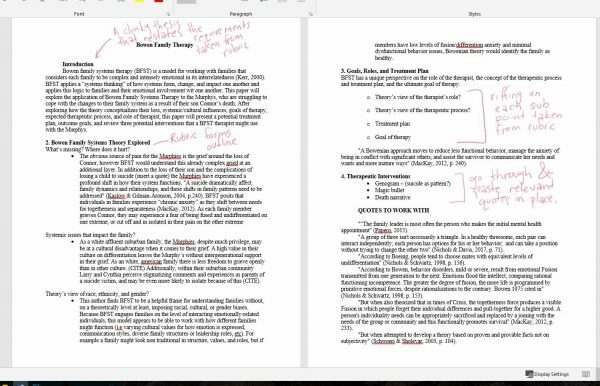 I format my quotes as needed to APA, Chicaco Style, or MLA format and then paste them into their own section follong my bullet outline. Add a reference page quickly without the tedious work of transcribing reference data by using a website called worldcat.org– There you can look up any book movie or audio and download the citation in the format you need. Sprinkle some thoughts into outline. Next, inspired by the sources I just read, I begin to free associate under each of the points. Free associate as you have ideas, let ideas flow and don’t stop to cite. If you state something you know you need to cite, just pop in a placeholder- I use “CITE” in all caps to remind me to cite this in a later revision. Paste relevant quotes under outline headers. Now that your paper is rolling and turning into something with a little bit of a paper–like form, it’s time to add some quick quotes. Don’t worry about forming complete sentences, just copy and paste appropriate quotes from the chunk of quotes into relevant sections of the bulleted outline. Once you’ve got some thoughts and some quotes sprinkled into your bulleted outline, start adding more text as needed. It can be helpful to pretend each point is an essay question and you are writing a 3 sentence essay for each header. Once you’ve got a series of mini-essays with some quotes sprinkled in, it’s time to turn this bulleted outline into something resembling a paper. Remove the bullet points and any unnecessary headers. Did you use “CITE” as a way to dogear a statement to return and cite later? Do a quick read of your paper, adding simple filler sentences to transition (for example: “now that I have discussed aspect A it’s important to also consider aspect B”). Go back to the introduction and replace that clunky thesis with a sentence describing what you just wrote, it might be pretty similar to your clunky thesis or completely different. That’s okay as long as it summarizes what you wrote and reviews the requirements that your teacher asked for in the paper. Edit for Formatting, Grammar, and Citations. 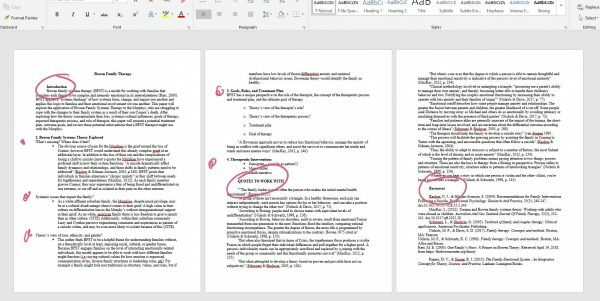 Do a final reading to make sure the paper fits together and hits all the points required, double check your citations and formatting. Print the paper! You just wrote an entire academic research paper! Did this trick save you time on your paper? Let me know in the comments below!